All of our sponsors provide products and services we love, and all are generous supporters of the racing community that make the events possible. Check out their stores. 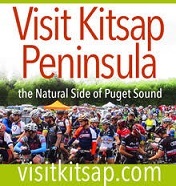 Visit the beautiful Kitsap Peninsula, conveniently located directly across Puget Sound from Seattle. We offer a lot of things to do all year long and a wide range of lodging choices, from beachfront hotels to charming B&Bs and Airbnbs in rural and waterfront settings. There are great beaches for paddling, parks for mountain biking and trail running, and much more. Kitsap has some of the most versatile outdoor options and great selections of accommodations and dining. SERIOUSLY Powerful, safe, natural and undeniably effective! Our products will do exactly what we say they will and outperform the competition every time... Guaranteed! 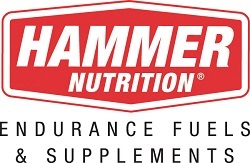 At Hammer it is our goal to help people attain the highest degree of health and performance using a holistic approach to nutrition and fueling. We support our products and the athletes who use them with honest information and the best customer care. Whether you're packing flip-flops, snowshoes or stemware, Lake Chelan promises a stay to remember all year round. If you're packing the family looking for memories, an agenda for your business function, or a palate primed for world-class wine, you've come to the right place." Visit the Lake Chelan Chamber of Commerce and Visitor's center at www.lakechelan.com for all of your trip planning needs." Georgetown Brewing Company is a Seattle microbrewery. Awesome Beer, nuff said! We will have finisher pint glasses (co-branded) and there will be growlers for prizes. Check these guys out, Manny's Pale Ale or Roger's Pilsner at bars and restaurants, or go vist the Brewery in Georgetown! Celebrate your special day in a special place - We invite you to experience a personal and historic wedding in Port Gamble. Imagine the opportunity to celebrate your love at our privately owned, 120 acre National Historic Landmark on the shores of Hood Canal. Wenatchee's mountain bike headquarters and full service bicycle retailer. Your destination and departure on the ride of your life! Vin du Lac Winery is one of the top Wineries in the region, and was named “Winery of the Year” in 2010. Its location at Lake Chelan – the outdoor recreation capital of North Central Washington – is the perfect setting for Vin du Lac to promote its philosophy of living “the good life” though healthy living – good food, great wine, and lots of physical activity. Vin du Lac is a leading sponsor for multiple outdoor sport competitive and recreational events, including the NW Epic MTB Series, and the Evergreen Trailruns. Visit our Woodinville or West Seattle locations for all your bicycle needs.